TPAA - Une question sur la Tony Parker Adéquat Academy ? A question about Tony parker Adequat Academy ? What is the Tony Parker Adéquat Academy ? 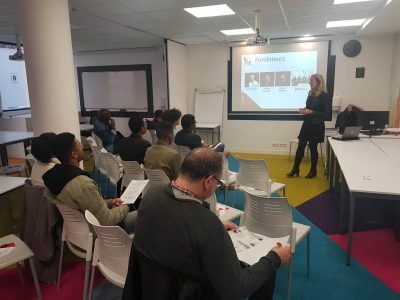 Based on an innovative concept mixing passion, studies and employment, the Tony Parker Adéquat Academy allows young passionate people to build their life project with the promise of a job at the completion of their studies. The Academy will open in Lyon in September 2019.
Who can join the Tony Parker Adéquat Academy ? The academy is open to all young people (male and female), from 15 years old, who dream of combining their passion, their studies and their desire to build their professional future in a unique and stimulating place. 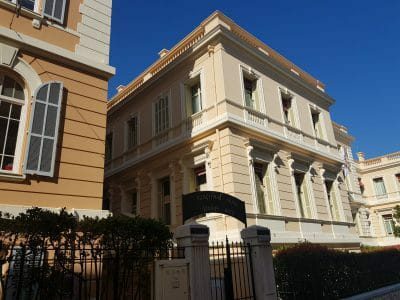 The Tony Parker Adéquat Academy offers an enriched learning experience at high school level and post baccalaureate level for French and International students, with an individual support, adapted school timetable and adjusted teaching materials. You are ready to join the Tony Parker Adéquat Academy and want to take your chance ? You can already fill the application form in the dedicated ADMISSIONS tab. All the applicants to the Tony Parker Adéquat Academy will have to submit a video demonstrating the investment in their passion. The selection process is a continuous process along the year but we advise you to start it early to increase your chances to join the Tony Parker Adéquat Academy in September 2019. Will there be selective tests to enter the Tony Parker Adéquat Academy ? The selection of candidates will be done initially by studying your application online. The selected applicants will be invited to meet the Tony Parker Adéquat Academy team for a motivational interview in Lyon or by Skype. In the following interview, candidates will be informed of the results of the admission process within 7 days. If you are applying for higher education programs, you will have to follow the admission procedures specific to each program. Where is the Academy located ? In France in the city of Lyon at the heart of an up an up-and-coming neighbourhood: Gerland. Lyon, second city in France, has a great quality of life, is a dynamic city and very attractive to students. When will the Academy open? The first academy students will join the Tony Parker Adéquat Academy in September 2019. Can we register if we are not French? Yes, the Tony Parker Adéquat Academy welcomes young people from all around the world. The international programs are fully adapted for English-speaking students. What does the motto« Come to our Academy and get a job » mean? It is the Academy’s commitment, with our partner Adéquat : to offer a job opportunity to all Academy students at the completion of their studies. Give a job to all Academy students, how is it possible? It is the objective fixed by the Academy, as it is essential, that all Academy students end their program with a bright and solid professional future, with a job within a company. To reach out this objective, we have partnered with the Group Adéquat, which brings its competencies and expertise in the employment sector. The Group Adéquat involvement, which will integrate an agency within the Academy with expert professionals, will follow and support all Academy students throughout their studies and will propose a job offer adapted to each profile at the end of their course. The partners network from the Tony Parker Adéquat Academy commits also to make Academy graduates their new co-workers. What is the difference between the Tony Parker Adéquat Academy and a training center? The Tony Parker Adequat Academy is not a sports training center. It is open to all young passionate people (Basketball, Music and other sports after review) from all levels of practice who do not want to choose between their passion and their studies. It allows all young people who are passionate to live an enriched learning experience, with an individual support, adapted timetables and adjusted teaching materials. Which school and sport levels are required to integrate the Academy ? The Tony Parker Adéquat Academy is open to young people with different levels of practice. Applicants for the Tony Parker Adéquat Academy will be specifically examined considering their investment in their passion, their personality, attitude, curiosity and motivation, the desire to embrace the values of the Tony Parker Adéquat Academy as well as the willingness to define their individual project. Where will the Academy student be staying? 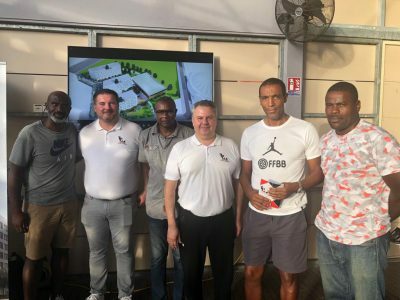 The Academy students will be living in apartments within the campus student residence which is managed by an management company from the property development company OCEANIS, partner of the Tony Parker Adéquat Academy. 133 apartments type T1, T2 or T3 are conceived for an optimal comfort with a contemporary decoration will be at the disposal of the Academy students. According to your choice, you will have the possibility to be living alone, with 2, 3 or 4 other young people.